It was 1976 and the board of supervisors in Chesterfield County, Virginia, was a male refuge. Joan Girone changed that. Shattering the glass ceiling by becoming the first woman elected to the board, she became a role model and trailblazer at the age of 48 for many women who grew up in Chesterfield and were just beginning to find their way. They were watching, listening, and observing even though they may not have realize it at the time. All these years later, I see Mrs. Girone’s fingerprints on many of my Republican beliefs. She was progressive for the GOP, especially at that time, and they were fortunate she carried their banner in her groundbreaking journey to open doors for women. At the time, Chesterfield was just beginning to grow and expand with newcomers relocating as businesses moved into the area. The result was the beginning of change in county leadership. She went on to serve three terms before retiring from the board in 1987. During that time she was vice chairman from 1976 through 1980. Though a strident Republican, when Mrs. Girone ran for state senate in 1987, she challenged a Republican incumbent, state Sen. Robert Russell, as an independent. She said that the local party’s nomination process was rigged against her, and her candidacy exposed a rift in the local party. She also split with the Republican leadership, saying they were too right-wing for her more mainstream approach to politics. 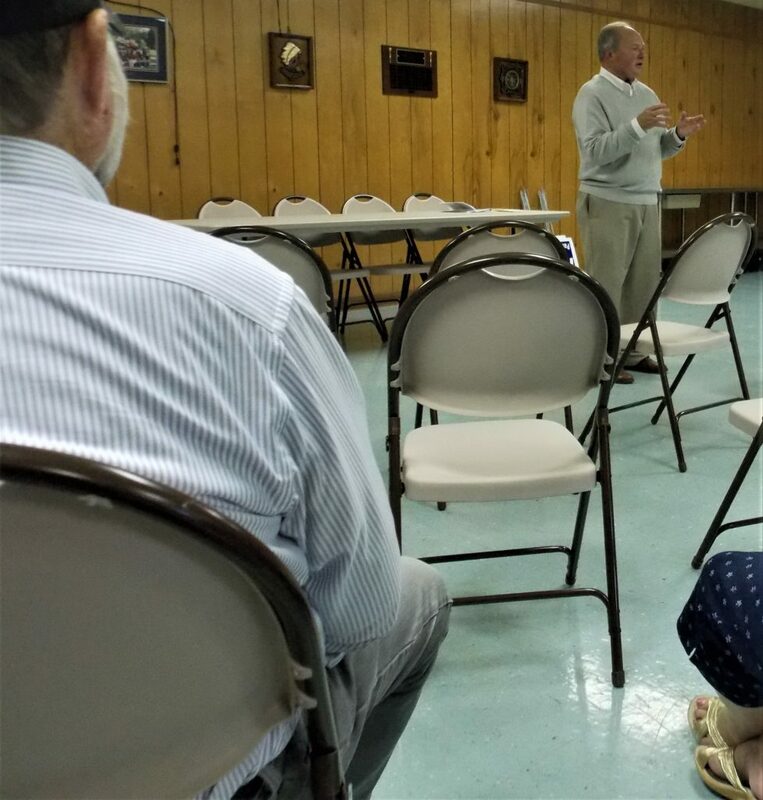 Girone, now an independent, described the Republican Party of today as “exclusive” and a group that is not recognizing the growth of minority groups in Chesterfield. She considered it an example of “politics at its finest” when New Jersey Gov. Chris Christie, a Republican, and Obama, a Democrat, recently worked together in the wake of massive storm damage caused by Hurricane Sandy. As a public servant, she got it, listening and working with her constituents, holding “First Monday” events to listen to their concerns, and active in the community before, during, and long after her time on the board. She was instrumental in the change that resulted in the school board being elected by voters instead of appointed by supervisors. In 2015 she was presented with a Lifetime Achievement Award from Chesterfield County. Earlier this week Joan Girone passed away at the age of 91, six months after the loss of her husband Joe. She left a legacy in the county but, perhaps more importantly, she left a legacy for unknown numbers of women who learned leadership, community involvement, constituent dedication, and a never-give-up attitude from this pioneer in the Richmond area women’s movement. Mrs. Girone’s life will be celebrated this afternoon, Thursday, April 18, 2019, at 2:00 at Bon Air Methodist Church. As 2018 comes to a close, it is a time to reflect on family and friends and those who have special meaning in our lives. While I’m still writing and posting photos at LynnRMitchell.com, my responsibilities as editor-in-chief at BearingDrift.com have kept me very busy. Here’s to a great 2019 and many more years observing, writing, and taking pictures of politics and more. From LynnRMitchell.com to you … Happy New Year! It’s that time of year when it’s out with the old and in with the new. Here at Bearing Drift, it’s a time to look back at the past year, thank those who have built our foundation, offer extra thanks to our writers and background support, express gratitude for our readers, and start out with a clean slate in 2019. Bearing Drift turns 15 this year — definitely a milestone for our group of writers and contributors who share their opinions, observations, and knowledge about the political world around us. With our concentration primarily on Virginia, we sometimes branch out to national and world politics when they affect us here in the Commonwealth. Bearing Drift’s New Year’s resolution for 2019 is to continue to provide quality articles to our readers. We will strive to present new content on a regular basis, and we hope our readers will continue to support us and add their voices to the discussion. –Melissa Kenney is our Advertising Director and Managing Editor. She sells ads, shares her expertise, and also digs into the site to troubleshoot technical issues that may arise. –Jason Kenney is our Webmaster. For an organization like ours, that is just about the most important person in the operation. 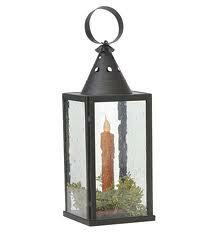 He troubleshoots issues we may have and is practically on call at all hours of the day and night. –Susan Sili is our resident “hostess with the mostest” who covers the General Assembly during session, shares entertaining tips, and writes historical pieces about Virginia. –Brian Schoeneman is our editor-in-chief emeritus and occasional contributor who is always there to provide support and feedback. –Rick Sincere, who is well known in the writing world and contributes to a number of publications, is our radio personality since taking on “The Score” nine months ago. 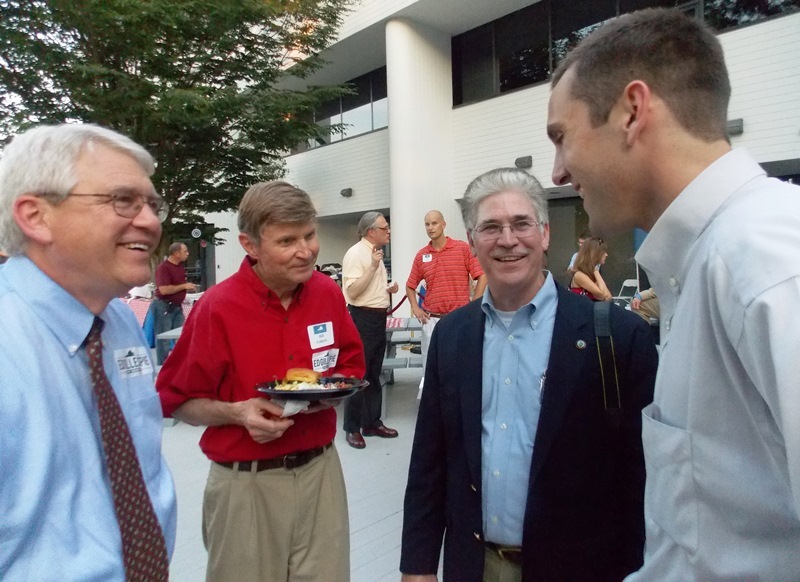 He not only pens articles for Bearing Drift but also provides photos when attending candidate events. –Stephen Spiker rejoined Bearing Drift in 2018. Experienced in polls, policy, and campaigns, he is a solid writer and numbers cruncher. –Norm Leahy, who has served as editor-in-chief in the past, writes for Real Clear Investigations and provides a weekly column at the Washington Post that he shares with us. –Cole Trower provides coverage of the Hampton Roads area as well as opinion and information about candidates and campaigns. 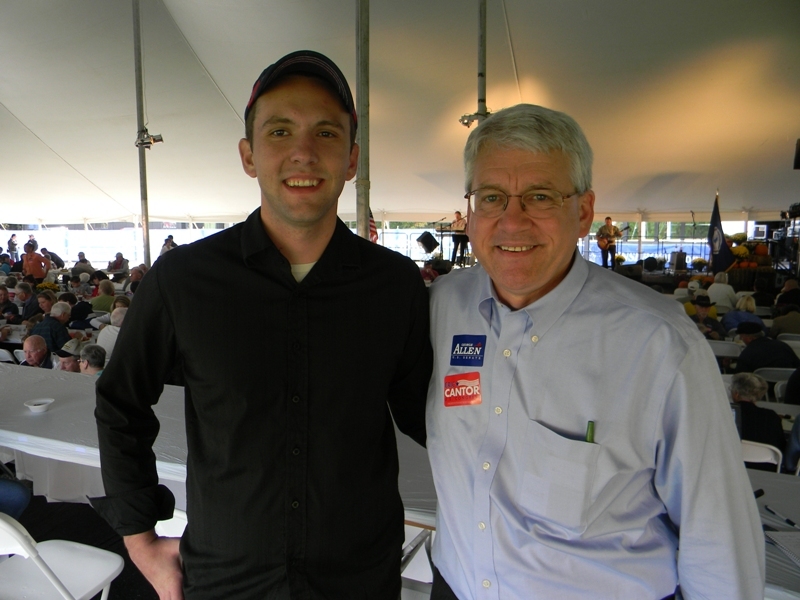 He has served in grassroots leadership and worked numerous campaigns. –D.J. 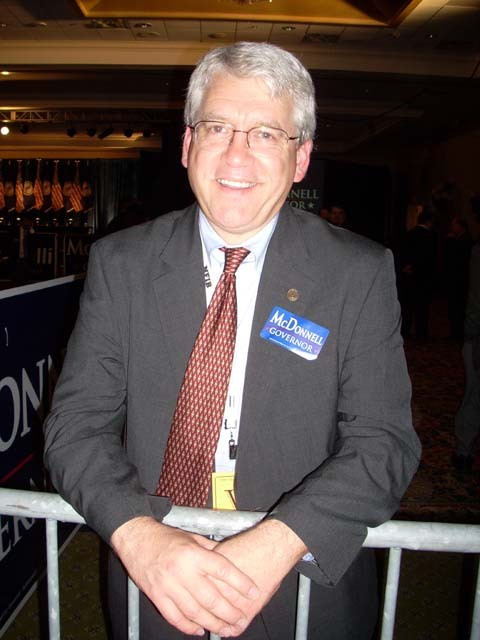 McGuire, a former long-time contributor, returned in 2018 after a two-year absence. 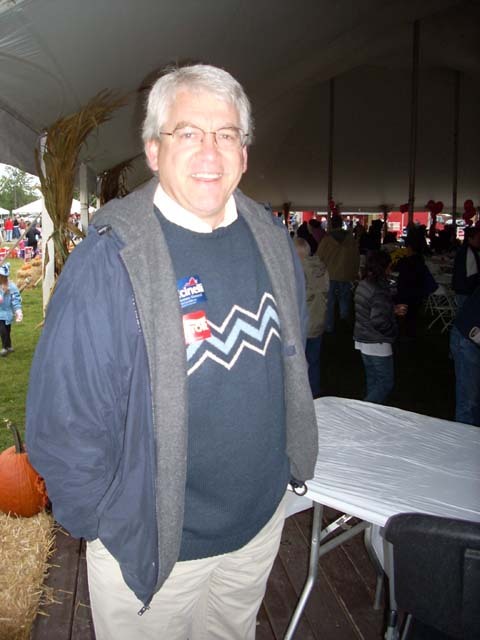 A former candidate for public office, his experience is in foreign affairs and financial issues as well as Virginia politics. 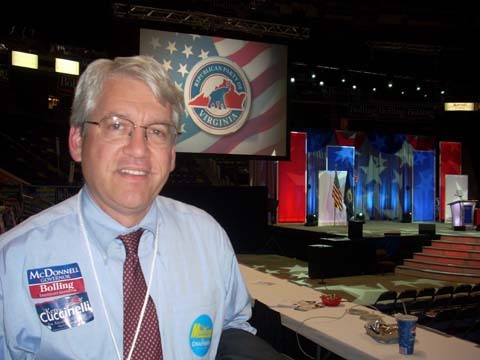 –Craig Storrs Jr. brings a wide array of experiences to his writing including working with elected officials, running campaigns, and grassroots leadership. –Matt Hall is our goodwill ambassador, writing articles as well as conducting interviews of candidates and elected officials. –Andrew Hull is on hiatus preparing to enter law school but is able to add the occasional article. Well-rounded in working campaigns, his quick wit and knowledge of the political scene endeared him to readers. –M.D. 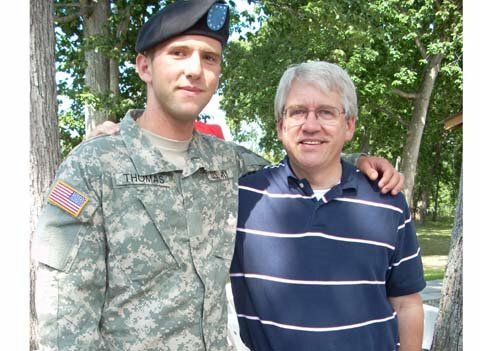 Russ brings years of experience with a military and business background, weighing in on a variety of issues. –Matt Walton offers perspective from the Richmond area, utilizing his experience working campaigns and running for public office. 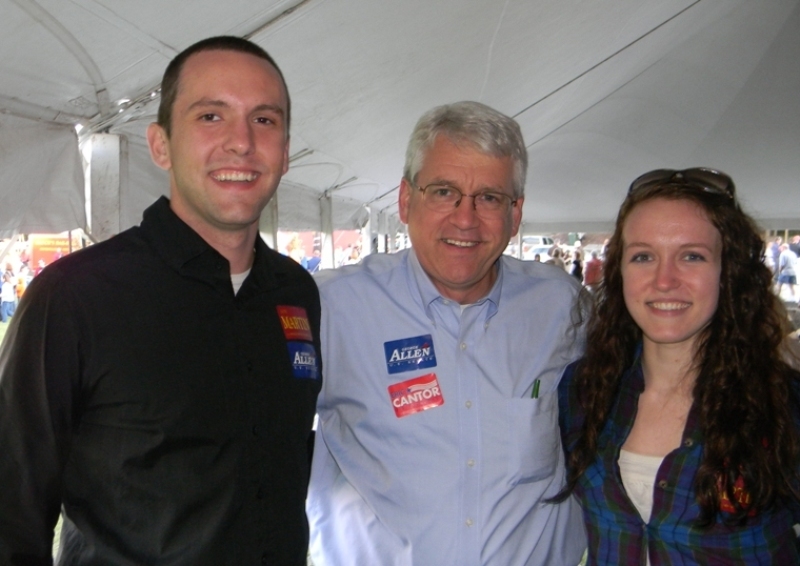 –Jay McConville brings his experience in grassroots leadership and running for public office to his writing. 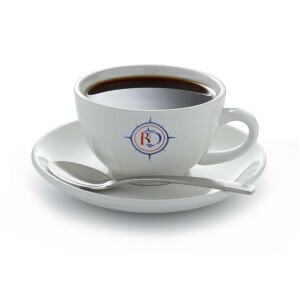 -Rollin Reisinger has written strategically in the past but has been working campaigns in recent months. -Steven Brodie Tucker is our newest contributor. His thoughtful and fact-filled writing has already captured an audience with BD readers. –Jim Bacon, editor-in-chief and founder of Bacon’s Rebellion, is one of our content partners, sharing his writing on economics, energy, and other issues of importance to Virginians. –Rob Schilling has his own radio show and is a former Charlottesville councilman. Another content partner, he writes about topical issues. –Mike Thompson is president of the Thomas Jefferson Institute of Public Policy, sharing articles about issues that concern the citizens of the Commonwealth. -And me, Lynn R. Mitchell — editor-in-chief, photo chaser, and multi-tasker. Here’s expecting even greater things for Bearing Drift in the coming year so stay with us to see where we go in 2019. From all of us to all of you … Happy New Year! 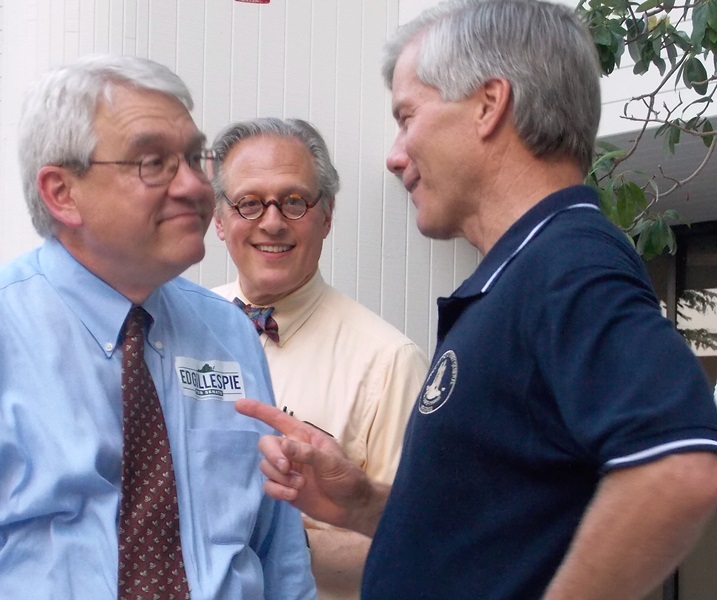 You did it again — stepped in as interim chair to fill the vacuum left when John Whitbeck resigned in July — and the Republican Party of Virginia once again owes you a big thanks. 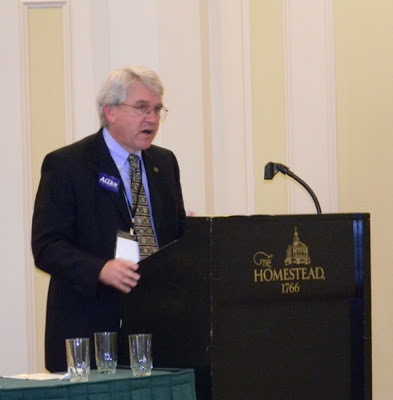 You kept the party going until a replacement was voted on at today’s State Central Committee meeting. Congratulations to new Chairman Jack Wilson who will finish out Whitbeck’s term. We’ve been here before, haven’t we? As First Vice Chairman of the party, serving as interim chair is a role you have served a number of times in the past to preserve continuity in leadership. You have been asked before to take on the role yourself but you always said no. You seem to thrive working in the background, not in the spotlight of politics — always the reliable wind beneath the wings of whomever was chairman at the time. The party owes you a huge debt of gratitude also for being the pillar that you are with a steady hand and even temperament and reliability to carry us through the rough patches. Your institutional knowledge is legendary — you are a walking encyclopedia of Virginia Republican politics — and we are amazed at your darn near perfect recall of facts. During the battles that have occurred between factions, you have worked with all sides, listening and mediating and seemingly always available. 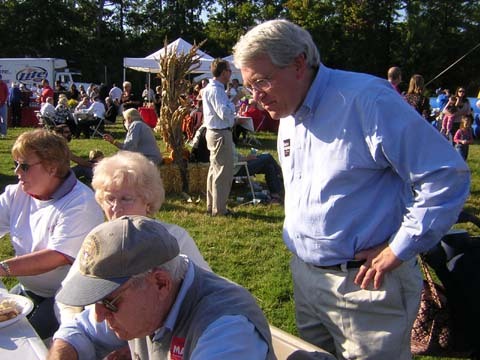 Throughout the years not only have you worked with the grassroots but also with countless Republican elected officials who have turned to you for the same measured advice so appreciated by others. For all that that and so much more, we thank you. I looked through my photo archives from the past two decades because you know how I like to take pictures at Republican events. You’ve never told me no when I asked for a pic, patiently enduring my shutterbug over the years. Often what people don’t see in the photos I’ve snapped of elected officials is you off to the side, not seeking the limelight but every bit as important as those pictured. 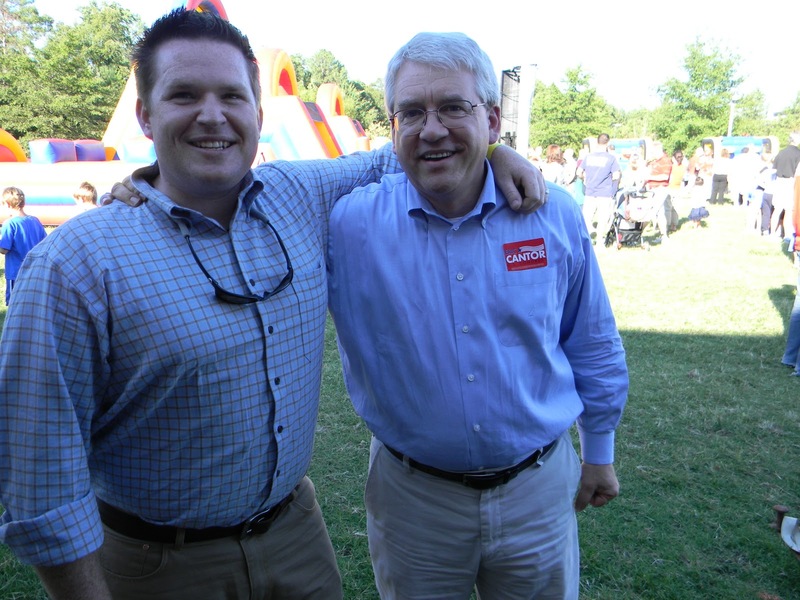 So I compiled a few of those pictures from the multiple GOP events where we have run into each other. I have lots more but will save them for another time. Just one more thing. Your friendship with many, patience with all, and wisdom from years of experience are truly appreciated by a party that probably doesn’t deserve you. I can just imagine that, as you handed over the gavel today to the new chair, you possibly gave a sigh of relief at resuming your role as First Vice Chair. All I know if we’re all grateful for your leadership. Thanks, Mike. At Burgers With Bill Bolling, June 2017. Richmond. At son Alec’s wedding in August 2018. The Republican Advance at The Homestead, 2011. Trixie Averill, former. Lt. Gov. 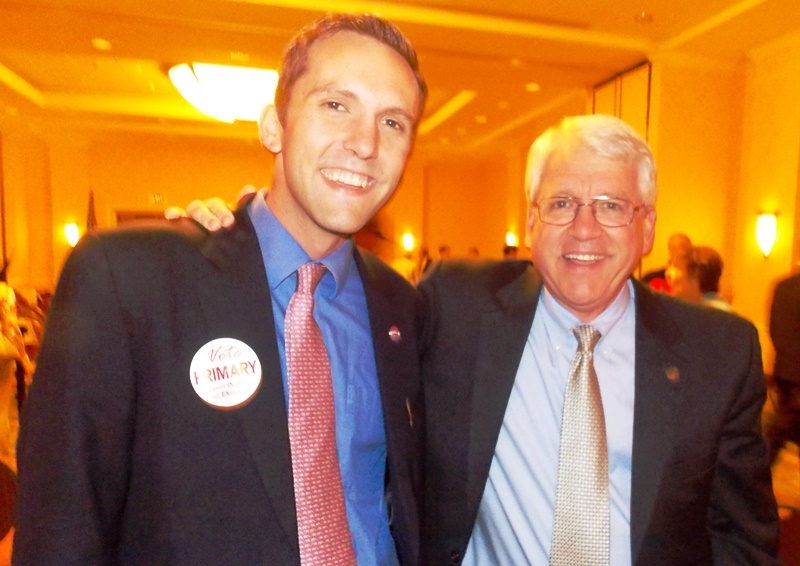 John Hager, and Mike at the RPV State Convention in 2016. Mike and son Alec at State Central Committee meeting in Staunton, 2015. At Burgers With Bill Bolling, 2014. Republican Advance in Williamsburg 2009. Election Night 2009 — Republicans swept Top 3 gubernatorial spots. 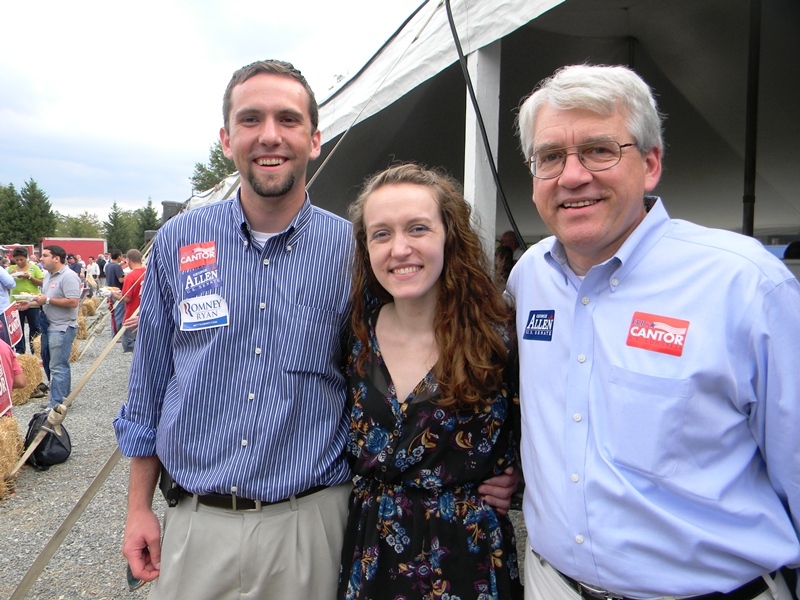 Mike with son Alec and daughter Ashley at one of Eric Cantor’s Republican Roundups. Photobombed by RTD’s Jeff Schapiro while talking with former Gov. Bob McDonnell, 2016. 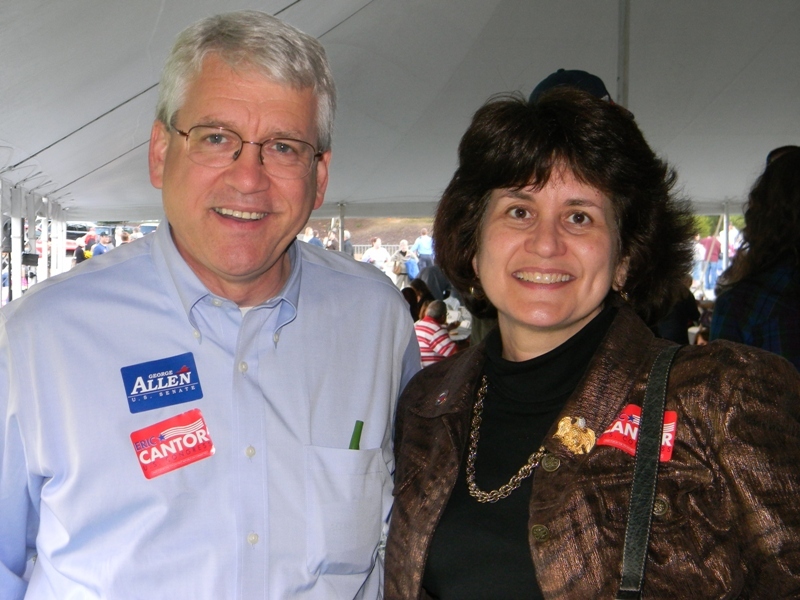 With Juanita Ballenger at Republican Roundup in 2011. 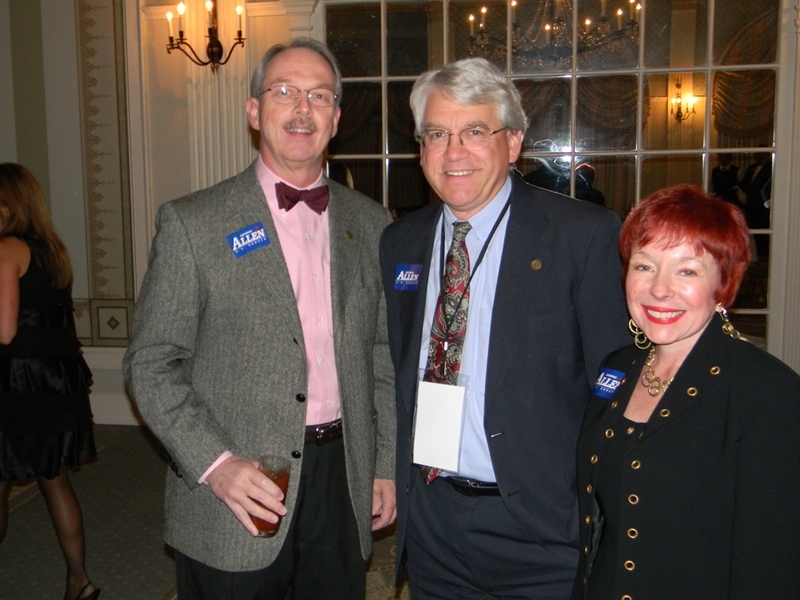 With Paul Galanti and Judi Lynch. With Donald and Nancy Williams. 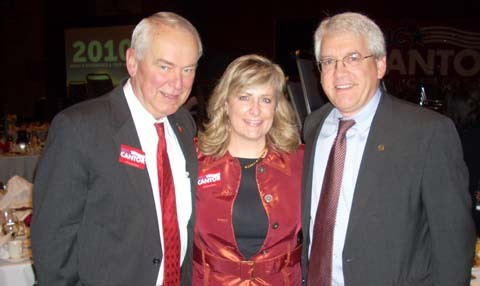 With my parents at the Republican Roundup in 2007. Barbecue at Susan and George Allen’s house in 2012. With Polly Campbell, State Central Committee Secretary for 40 years, at the Republican Roundup. 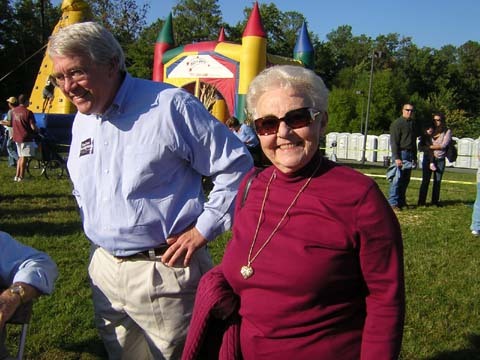 With longtime GOP activist Trixie Averill. Election night 2009 in RVA. The reason for the season…. And the angel said unto them, Fear not: for, behold, I bring you tidings of great joy, which shall be to all people. For unto you is born this day in the city of David a Savior, which is Christ the Lord. And this shall be a sign unto you; Ye shall find the babe wrapped in swaddling clothes, lying in a manger. The true meaning of Christmas … a time for the Christian world to pause and celebrate the birth of the son of God. As 2017 comes to a close, it is a time to remember family and friends and those who have special meaning in our lives. While I’m still writing and posting photos at LynnRMitchell.com, my new responsibilities as editor-in-chief at Bearing Drift have kept me very busy. The entire past year was busy. Here’s to a great 2018 and many more years observing, writing, and taking pictures of politics and more. Merry Christmas and Happy New Year! 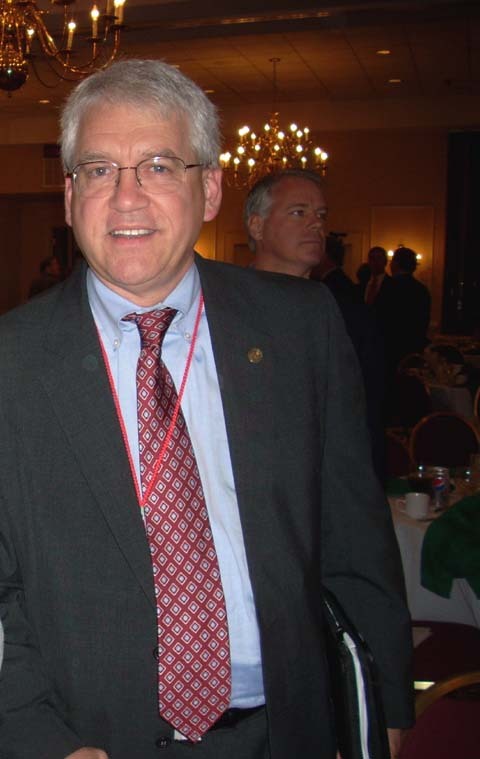 Mike Thomas, First Vice Chairman of the Republican Party of Virginia’s State Central Committee, has a birthday today. What would Virginia Republicans do without this pillar of the party whose steady hand and even temperament have carried us through many rough patches? 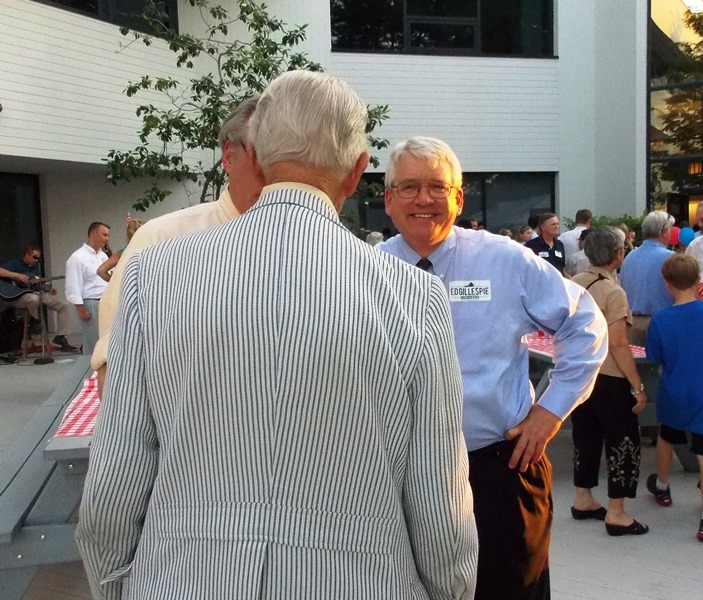 His institutional knowledge is legend — he is a walking encyclopedia of Virginia Republican politics. During the battles between factions that occur, he has worked with all sides, listening and mediating and seemingly always available. For that, we owe him a big thank you. I hope he is enjoying his birthday without too much politics interfering with his day. 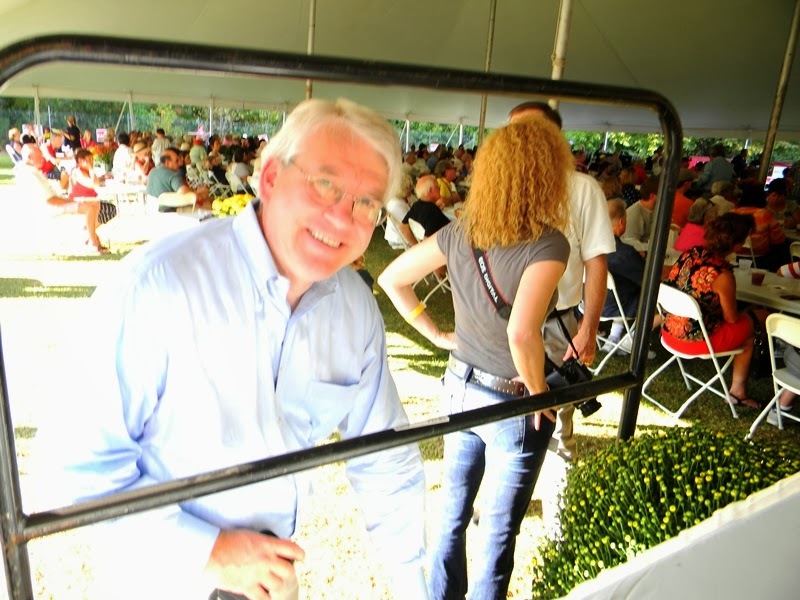 I went through my photo archives and looked for pics of Mike from the past 15 years at Republican events around the Commonwealth. Here are a few of them. 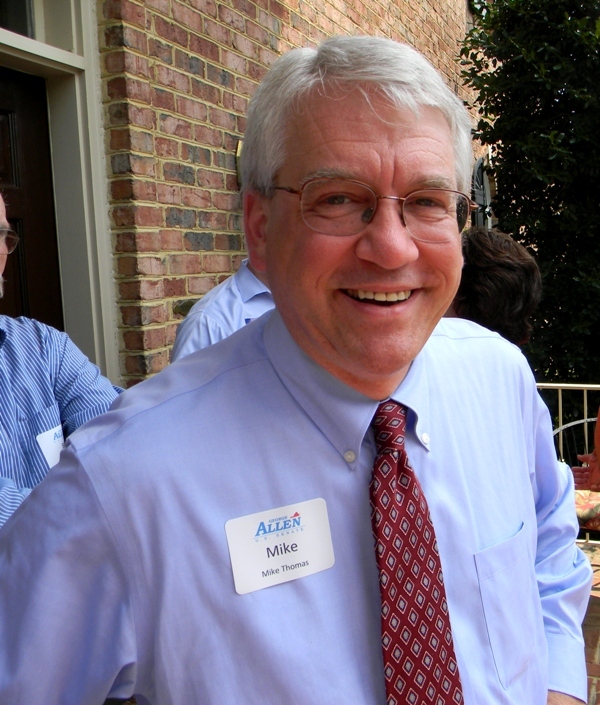 Thanks, Mike — your friendship and wisdom are truly appreciated. Happy Birthday! Delegate Lacey Putney has served in the Virginia House of Delegates longer than former Delegate Chris Saxman has been alive. Yet the respect for the elder statesman is there in Chris’ column as all take in the unexpected yet not surprising news of Putney’s retirement from the House. Lacey is a model of the unbranded, gentlemanly conservatism that makes Virginia so exceptional. The essence of that conservatism, true conservatism, is grounded in two key elements – pragmatism and self-restraint. What works, works. What doesn’t, shouldn’t. Lacey Putney was and is a model of Virginia gentlemanly conservatism because Lacey was and is, first and foremost, a gentleman. Read Chris’ entire respectful tribute to a man who spent most of his life in the public service of Virginia’s citizens. Lacey Putney was the Virginia Gentleman everyone respected. When he retired in 2013, the accolades and remembrances of his years in the Virginia House poured in from all corners of the Commonwealth. With a heavy heart I am sad to share that Virginia has lost an icon. The Honorable Lacey E. Putney passed away Saturday at the age of 89. 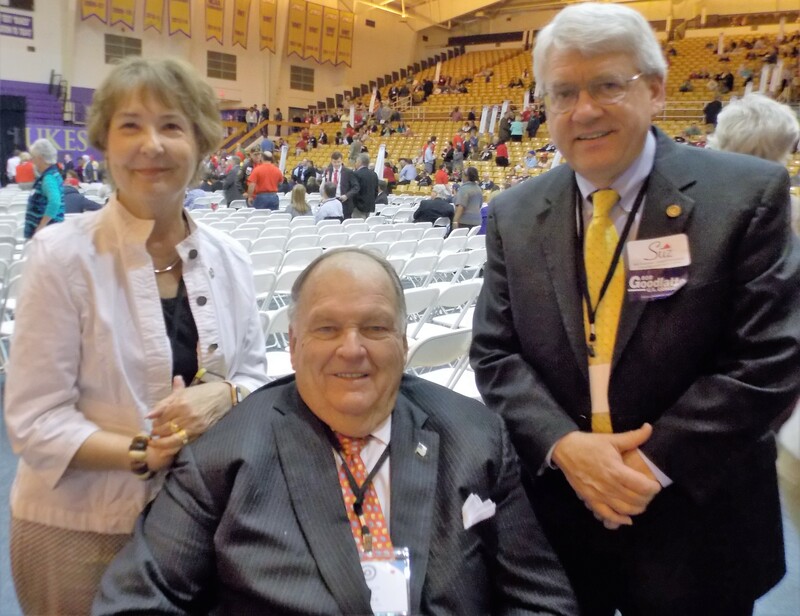 The Virginia House of Delegates mourns the loss of an esteemed leader who was here long before any of us arrived, and whose legacy will live on long after all of us are gone. 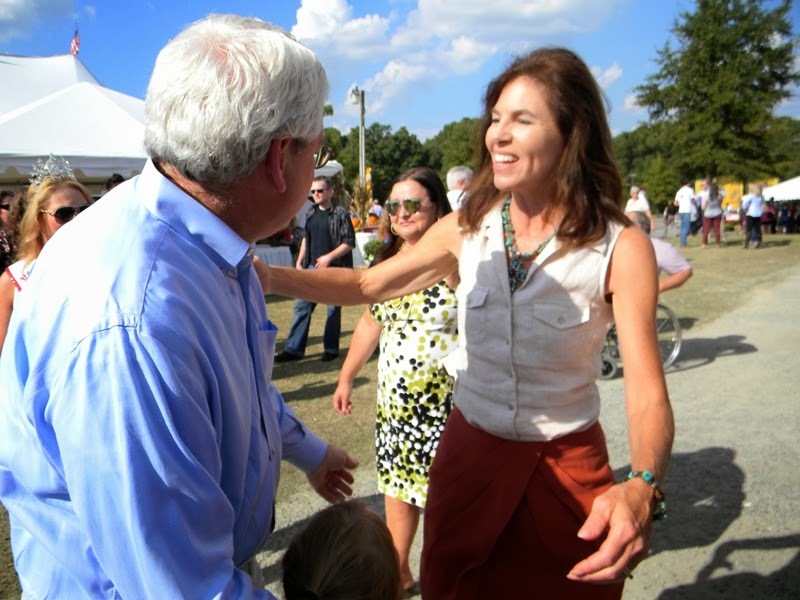 “Throughout his 52 years in the House, Lacey came to embody what this institution stands for: productive public service, individual integrity, sound stewardship and so much more. He was dedicated to the legislature as a vital and necessary institution within state government, possessed an independent voice and always acquitted himself as a wise and effective legislator. He showed compassion for all with a caring and soft heart, was a man of action and responded to all his constituents with unconditional resolve exemplifying all that a true “citizen legislator” can and should be. 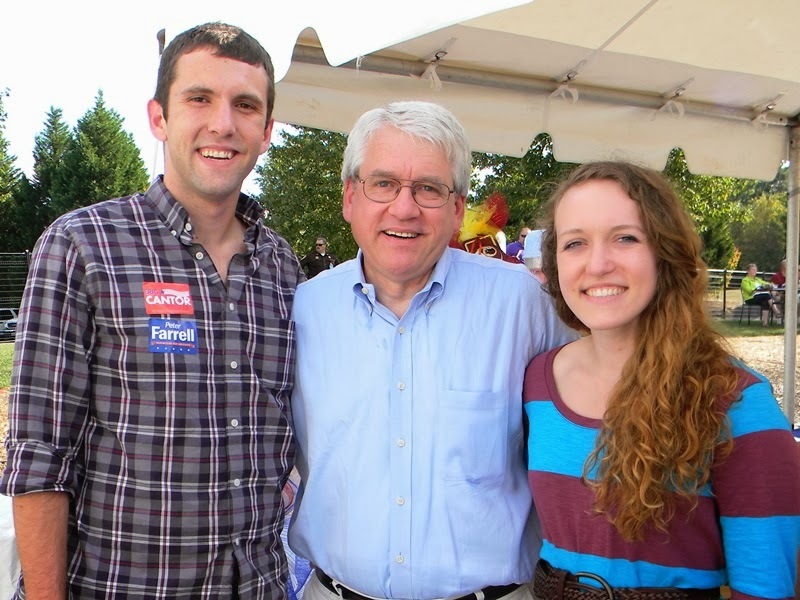 “During his historic tenure, he tirelessly served the constituents of the 19th House District, which encompassed many communities within central Virginia including the counties of Alleghany, Bedford, Botetourt, Franklin, and Rockbridge; and the cities of Bedford, Buena Vista, Covington, and Lexington. It was often said that ‘he was the gentleman from Bedford but was a gentleman of Virginia,’ serving his district and the House of Delegates with distinction. His capable leadership was consistently felt across our Commonwealth by so many for so long and with so much gratitude. 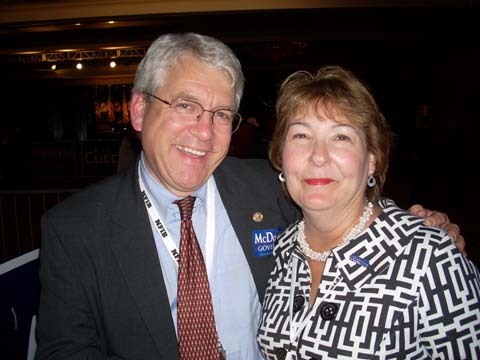 “Lacey served with 13 Governors, served as acting Speaker of the House of Delegates in 2003, and chaired the House Appropriations Committee and before that House Privileges and Election Committee. Lacey left the House having held the honor of the longest serving member in the history and was one of the longest serving members in all of our nation’s 99 legislative bodies. “The House has lost a mighty oak tree, but we will benefit from the roots that Lacey established deeply within our co-equal branch of government. 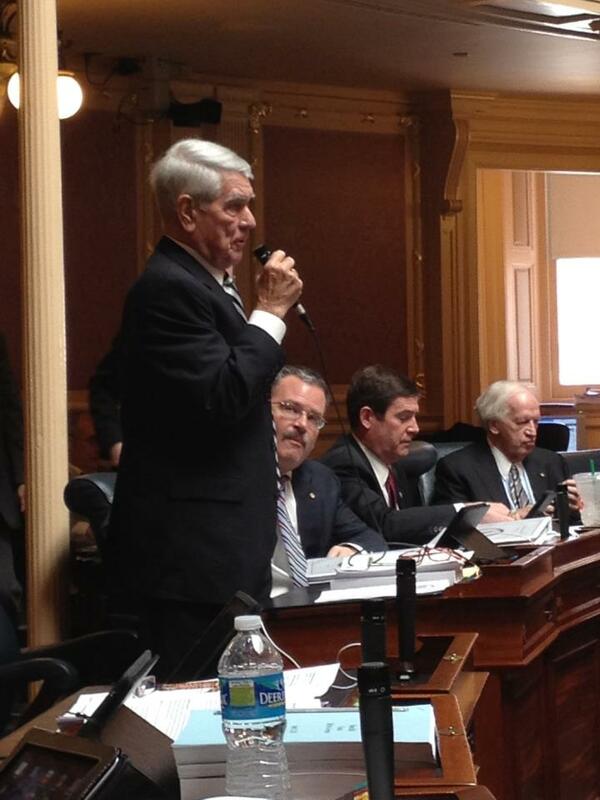 The Commonwealth will bear the fruit of his productive years of legislative service for many years to come. We are all grateful for the tremendous accomplishments he has left throughout the Old Dominion, from championing the creation of the Virginia Retirement System for state and local employees and initiating the Tuition Assistance Grant program for the benefit of students to safeguarding Virginia’s finances and establishing the Joint Legislative Audit and Review Committee. “Lacey was a dear friend to me and many others. I will always remember his good-natured humor and unique ability to recall a story for any moment. During this sad time, Cessie and I pray for his very special wife Carmella, who Lacey deeply cherished, and Lacey’s children, Susan and Lacey Edward, Jr. It is the end of an era in Virginia history. Republican Ed Gillespie has come out with a new TV ad for his gubernatorial campaign, the first of the general election to air in the Washington, D.C. media market. Previous ads have been running in markets across Virginia. This ad shows the son of an immigrant who worked his way through college as a Senate parking lot attendant and later became Counselor to President George W. Bush. Now he is running for governor “to ensure the next generation can do better than the generation that came before them by putting forward policies that will allow all Virginians to fulfill themselves and pursue their dreams whatever that dream may be,” according to his campaign manager. The ad appears just as the latest numbers show Gillespie trailing Democrat Ralph Northam in the most recent Roanoke College Poll. The race, however, has not passed the traditional Labor Day start of campaign season. Mike Makee (pronounced Mackie) served his country as a U.S. Naval commander during Operation Iraqi Freedom and Operation Enduring Freedom. 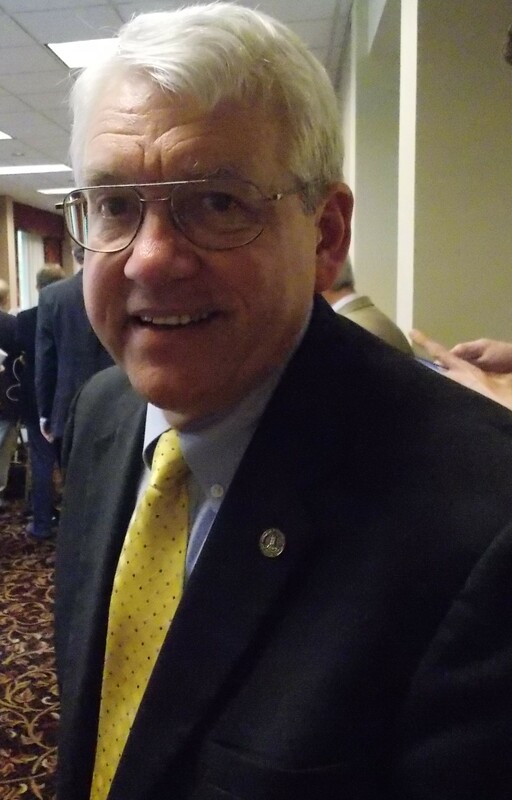 Now he is prepared to serve his Commonwealth in the General Assembly, stepping in to run for the open House of Delegates Second District seat left vacant by retiring Republican Delegate Mark Dudenhefer. House District 2 covers parts of Prince William and Stafford counties. In November the District carried Hillary Clinton with 56 percent to Donald Trump’s 39 percent. A U.S. Navy veteran, Makee, 47, of Stafford, retired in 2012 after 20 years of service, graduating from the U.S. Naval Academy at Annapolis and earning a Master’s degree from the Naval Postgraduate School. 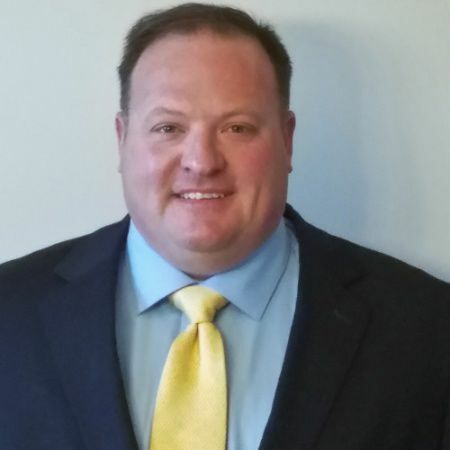 Currently a government contractor specializing in ballistic missile defense, he serves in the community on the Stafford County Utilities Commission representing the Rock Hill District, and is treasurer of the Stafford County Republican Committee. Republicans had until August 18 to find someone to run after the previous candidate, Laquan Austion, withdrew when questions arose after it was discovered he had not completed the educational degrees listed on his resume. Makee and his wife are the parents of six children, according to Potomac Local. This is his first run for public office. Makee will face off against Democrat Jennifer Carroll Foy, a VMI graduate who works as a public defender and adjunct professor at Northern Virginia Community College. She and her husband live in Woodbridge.